We're proud of the growth of our Scholars during the 2015-2016 school year. 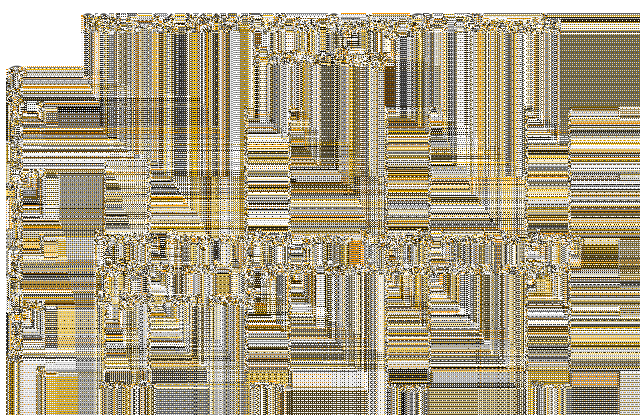 See the chart below! 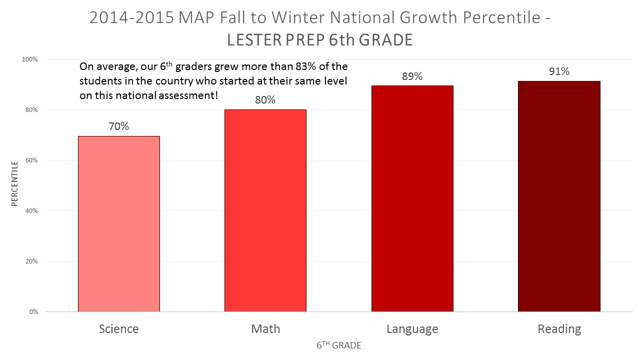 Scholars in their first year (2014-2015) at our new middle school, Lester Prep, took their mid-year national assessment known as MAP, which stands for Measure of Academic Progress. The results of this assessment reveal the outstanding achievements of these students in our new middle school. In reading, Lester Prep Scholars grew more than 91% of the students in the country who started at their same level! Similarly, the Scholars grew more than 89% in Language, 80% in math and 70% in Science.